Sometimes it feels as if the North Shore of Boston is growing too fast and becoming too urban. 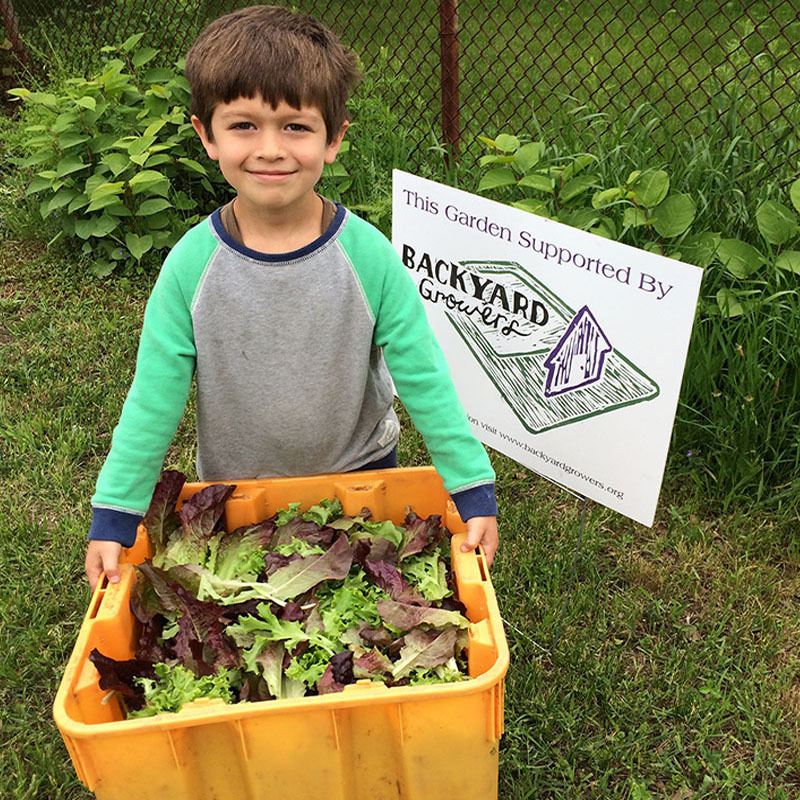 But the gardeners of Backyard Growers, a nonprofit based in Gloucester, are making sure that lush gardens and fresh produce are still within everyone’s reach. WORKS by Jesse DeBenedictis was proud to donate $2500 to this worthwhile cause. I’m a big supporter of organic foods in general, and I feel strongly about the satisfaction and personal growth that comes from doing something by hand. The gardens supported by Backyard Growers not only provide good food, tasty meals, and personal development, but they bring the beauty of green to even the most urban corners. 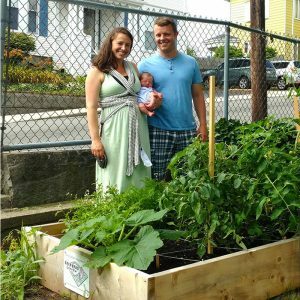 Backyard Growers is a grassroots organization helping to reshape Gloucester’s relationship with food. You can help build more gardens for schools, families and seniors. 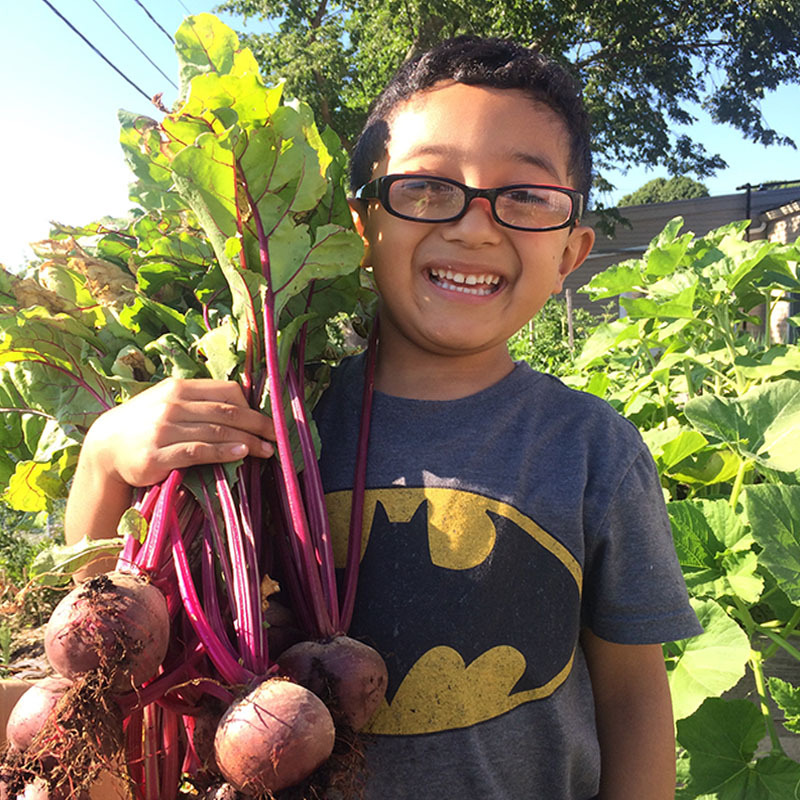 We provide resources and support to establish vegetable gardens at homes, housing communities, organizations, and schools. In the end we create life-long gardeners inspired by the power of growing one’s own food. Since 2010 Backyard Growers has built over 250 raised bed gardens, serving hundreds of Gloucester children, families and seniors. 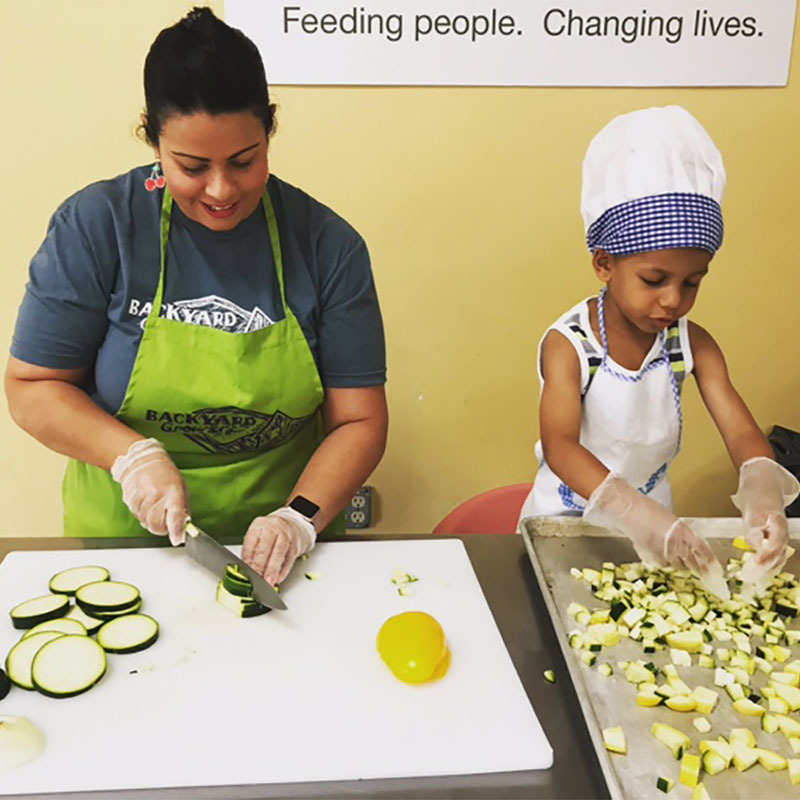 We serve 100% of public school students from preschool to 6th grade, providing true seed-to-fork experiences for Gloucester kids.